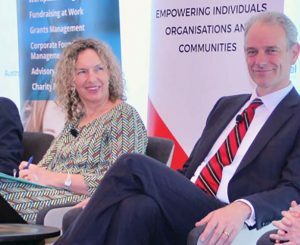 The 2017 LBG Conference on Corporate Community Investment in a fast changing world captured exactly that spirit – it was a turbo injection of case studies, frameworks, expert speakers, inspiring impact stories and workshops jam packed into nine hours with breathtaking views over Melbourne courtesy of ANZ. In two decades, LBG has built its reputation for providing clear measures, management advice and guidance on best practice evaluation and communication for corporate community investment. 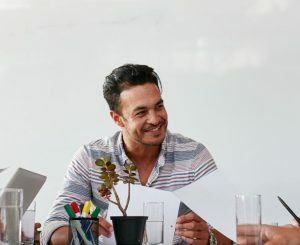 Corporate Social Responsibility has certainly evolved in that time from tokenistic philanthropy and sponsorship, piecemeal fundraising and cause related marketing to core business discipline at the heart and soul of all aspects of strategy, governance, leadership, brand, and employee and stakeholder engagement. The business case in clear commercial terms is a must. Trust and authenticity is a must. The emerging trends are social procurement and social innovation. Impact measurement and communication is a key challenge and focus for most managers of CSR. 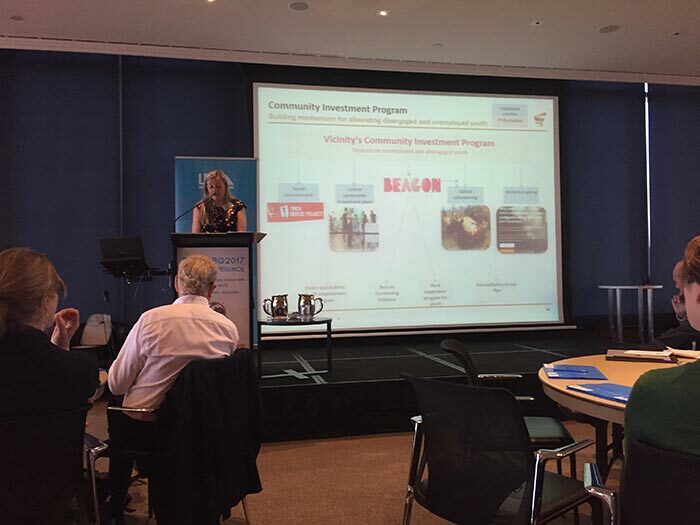 Some organisations thrive by diversifying community investment programs, and others are able to build a program more effectively with focus. Probably the strongest case study that showcased clear process was Vicinity Centres’ presentation on how they moved through a robust review process to center their community programs on disengaged unemployed youth. They wanted to focus on a single issue that delivered business and community impact. Partnership with the Beacon Foundation. In 2018 the company is looking to take bigger steps on a youth unemployment program and their Reconciliation Action Plan. Is focus the way to go? For this company, it has crystalised activities and meant there are clear measures and a robust business case for community investment. The win-win for the business will be measured using Net Promoter Score and footfall, and employing LBG’s framework. 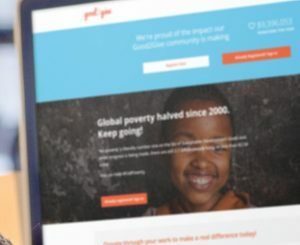 On ‘the pull factor’, Mike Tuffrey talked through company examples where social purpose was at the core of mission statements, citing paragons of industry leadership like William Hester Lever with Lifebuoy Soap – who put the purpose of selling soap on the packing when people were dying in slums. He literally saw it as the company’s role to keep people alive by providing them with a product to make them cleaner. In 1943, Robert Wood Johnson crafted Johnson & Johnson’s Credo himself – then had it carved into granite at the company’s headquarters. Put simply – the company’s credo ‘challenges us to put the needs and well-being of the people we serve first’. Ask yourself if you are relevant to your business and how? Remember that your C-Suite has a job to do and it is your job to help them do it. Also remember that the weaker the social purpose of your company, the stronger your community strategy has to be. Providing direct exposure through programs like Seeing is Believing (run by Business in the Community), quests and immersion leadership programs. By getting them to champion volunteering programs and participate, so they can see the energy in play and watch the impact in action. Reveal and highlight other leadership doing this well. Above all else…show them the money. Make the business case. Deliver on the business case. Do it well. Mike Tuffrey finished with the image of the Business Benefit Wheel and the conference discussion moved to LBG’s Annual Review of Corporate Community Investment and a panel discussion on trust and purpose. The good news is that business is standing up on purpose, the bad news is the public trust bank is short on coin.